We recently completed a kitchen where the homeowner selected the Super White quartzite we have in our stock for the countertops. She wanted the look of white marble without the maintenance...like so many people do. Last week she sent me a link to her blog with pictures of the kitchen and it turned out so beautifully that I wanted to share it with all of you. She was great to work with and gracious to let me put her pictures up on our blog. Not bad, but in need of an update. Isn't it gorgeous? I love the open shelving and the white subway tile backsplash. The pops of blue and yellow in the accessories look great. 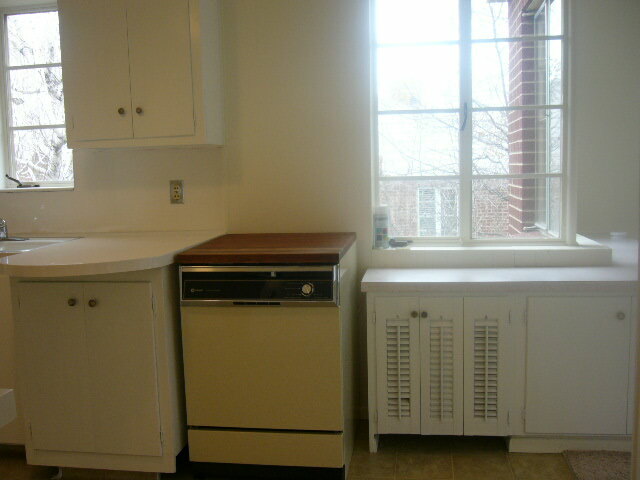 When she's ready for a change it will be a quick swap of accessories since the kitchen is so classic and neutral. Definitely the way to go in my opinion. The edge detail is a 1 1/4" Square Polish. 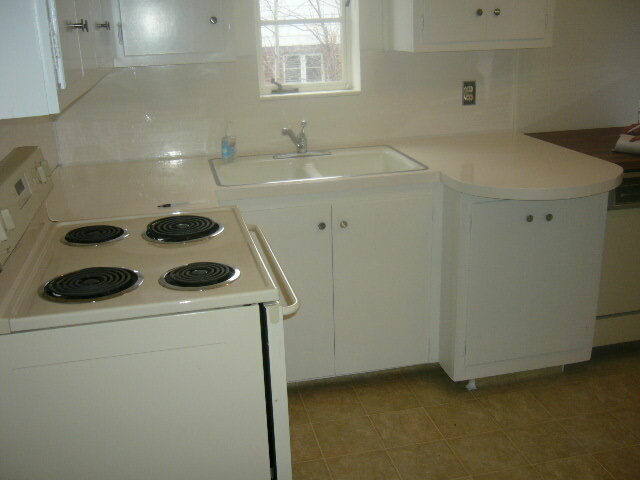 Thanks Sunny for sharing the pictures and letting us be a part of your beautiful remodel! I definitely think she got the same effect as using white Carrera. Thanks for sharing, this kitchen is so beautiful. I'm one of those people who want white marble but no maintenance. I'm going to look into the Super White now. The Super White is so pretty. I really like her open shelving too. Are the shelves from IKEA? Thanks guys! Super White IS the way to go. It's a piece of art on your counter. The shelves, sink and many other things are from IKEA. Love this kitchen-and your site- Provided lots of good info! I am looking for something that looks like Calacutta Gold Marble, but without the maintenance. Can you make any suggestions?